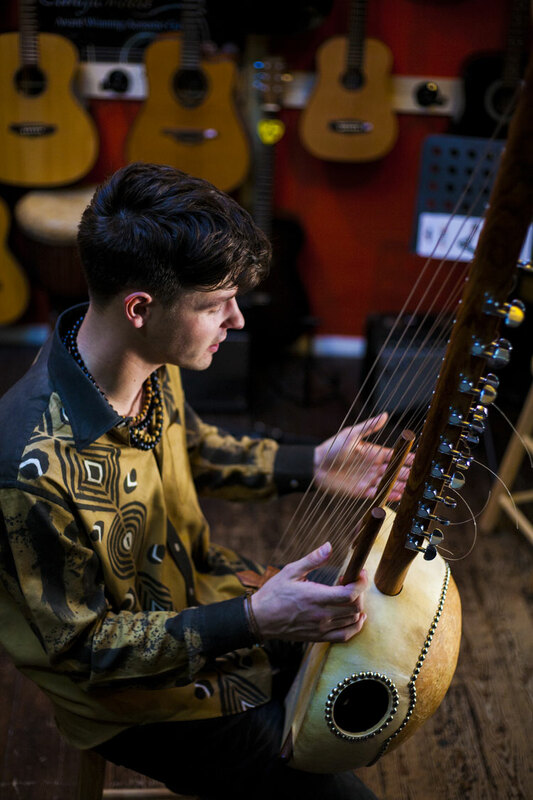 This young musician’s love of the Kora (21 stringed West African Harp) began when he was 8yrs old. 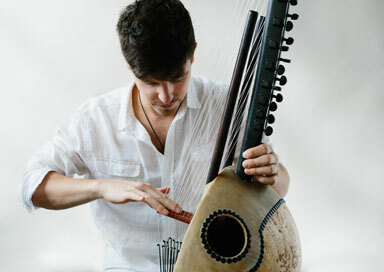 Having dedicated his early years learning the traditional kora tunes, he has now developed his own unique style which incorporates elements of the traditional alongside modern western influences. He was born in Wales and returns regularly to perform there and is currently based in Essex. He enjoys paying for weddings and events across the South East of England. 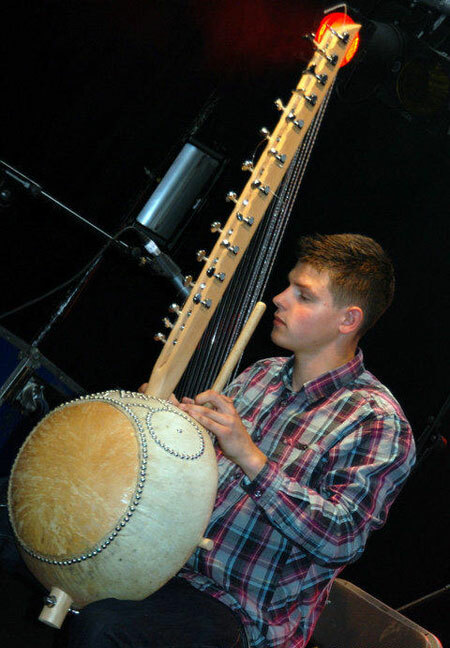 In 2005 he met Toumani Diabate the Master Kora player from Mali, who became his teacher and mentor. In 2007 he visited Toumani in his home in Bamako, he returned again in 2009 with an Award from Welsh Arts International. Whilst in Bamako he spent hours alongside his teacher and mentor improving his skills and embracing the culture. He also had the great privilege to play with Toumani’s band at the famous Diplomat Club in Bamako. He has collaborated with a number of musicians from Africa and from the UK. 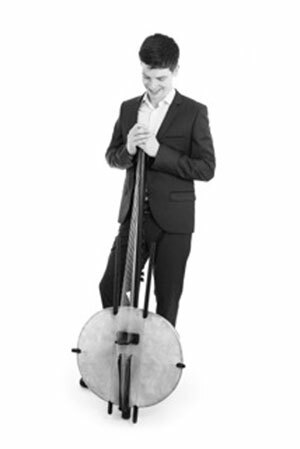 He has performed extensively in the UK and France, at Ronnie Scotts, at Weddings, Festivals and private functions. In 2010 he worked alongside The African Community Partnership Group in Swansea, performing at the Waterfront Museum for Black History Month and later at Barry Prison. He is also renowned as a skillful teacher and has taught students at SOAS, in private tuition and workshops and in schools. For the last three years he has performed and taught at a number of festivals including Womad, Small Nations, Shambala, and Boomtown. In 2012 he worked alongside Producer Mike Trim completing his first professional solo album. He also worked with Kenny Young recording several pieces for the Rythms Del Mundo Africa Charity Album, as part the APE Project. 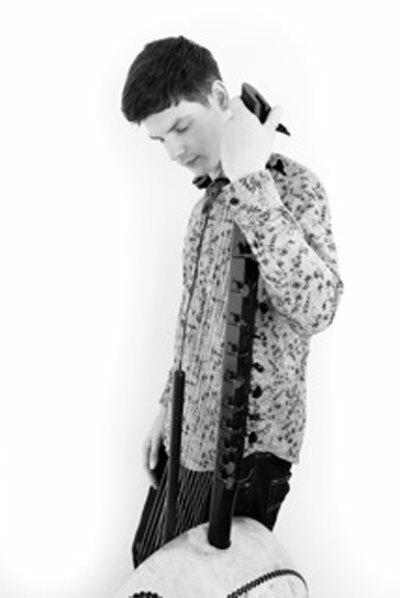 At present he is recording a second album with Mike Trim alongside a number of musicians from around the world.